Guangzhou - Buying a car will be as easy as buying canned drinks in a vending machine. E-commerce from China, Alibaba Group and American car manufacturer, Ford has launched a vending machine (vending machine) in the southern city of Guangzhou, China. Reported CNBC, the machine comes with a five-story building. The machine can accommodate 42 units of cars from various models, including Ford Explorer and Mustang. Alibaba said Tmall users, Alibaba online shopping platform, with a good credit score can buy cars from vending machines without human help. Buying a car in this vanding machine takes less than 10 minutes. Users simply select the car from Alibaba's Taobao app, then scan the face in the app, and when it arrives at the vanding machine, the system will verify the buyer's identity before the car is shipped. 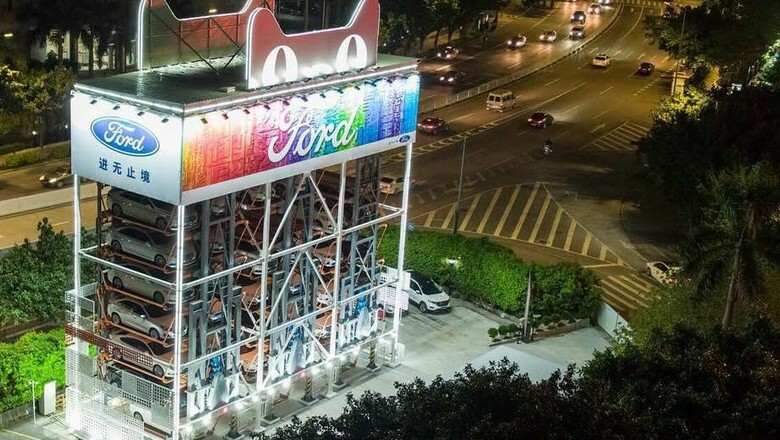 "Once the Ford car is selected, the consumer is self-sufficient to ensure that he is the only one who can pick up the car, then the consumer puts the deposit electronically and schedules the retrieval time, all from within the app," said Gu Wanguo, General Manager of Vehicles at Tmall Auto. 0 Response to "Buy Cars as Easy as Buying Canned Drinks"